I recently visited a local auction house and came across this very odd toy. 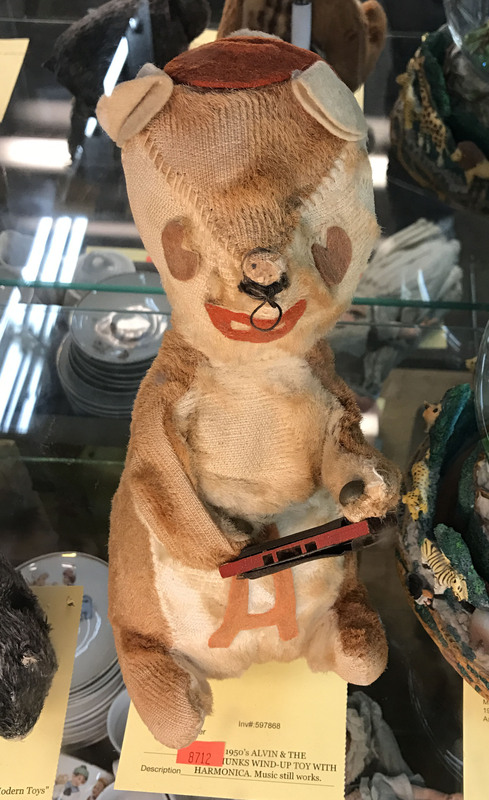 It was listed as “Circa 1950’s Alvin & The Chipmunks Wind-up Toy with Harmonica”. I had trouble believing this was an actual production toy, but I indeed found it online and on eBay. Although some look a bit better made than this which leads me to believe that someone replaced the covering on this toy. I regret not bidding on him. Oh well.